Looking for a speaker for your next neighborhood association meeting, club, church group, or other function? We have speakers and they love to talk! We can cover a wide variety of topics, but if you don't see what you're looking for in our speaker profiles, just send us a note and we'll see if we can help out. We have lots of resources! If you'd like to schedule one of our speakers, please email us. Jeff Ferris is a staff horticulturist with The Natural Gardener, a nationally-recognized nursery in Austin. 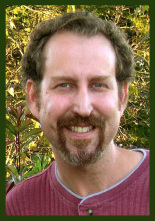 Jeff has a Bachelor of Science in Computer Science from Park College , a Permaculture Design Certificate from the Austin Permaculture Guild, and various other gardening-related certificates. Jeff is an instructor in the Austin Community College Continuing Education program, teaching a variety of courses in the Landscape and Horticulture program. Jeff is a co-founder and serves on the board of Neighborhood Harvest Program and is the Maintenance Manager of Unity Park Community Garden. Stephen Brueggerhoff is an Extension Specialist for the Texas AgriLife Extension Service Department of Recreation, Park and Tourism Sciences at Texas A&M University. Stephen has a Bachelor of Science in Horticulture from Sam Houston State University and a Masters of Forest Resources from the University of Washington. With over 15 years of experience, Stephen has supported the environmental community as lecturer, instructor, administrative organizer and collaborative partner. 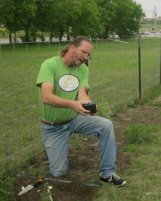 Stephen is an active member of Unity Park Community Garden, several professional development and community service organizations, and serves on the board of the Native Plant Society of Texas.